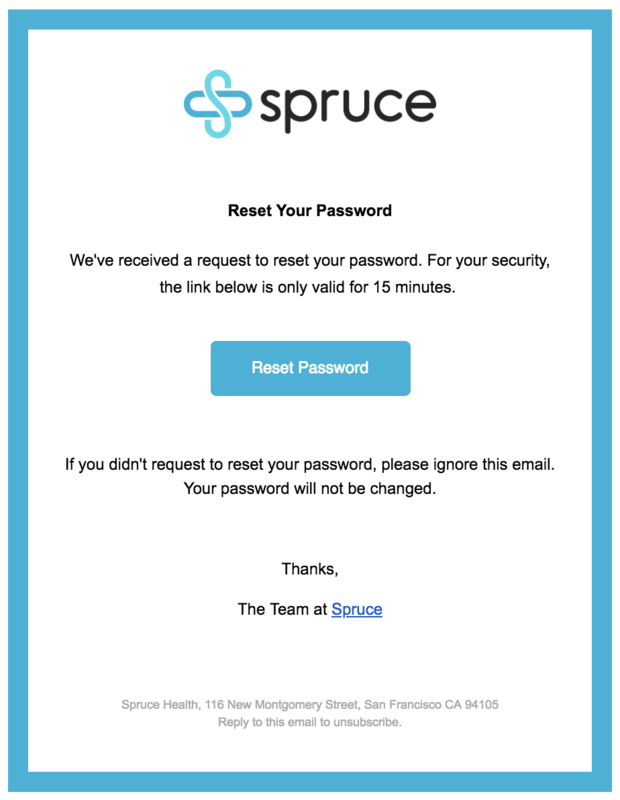 If you forget your Spruce password, you can reset it by clicking here. Enter the email address you use to log in to Spruce and click 'Send Email'. 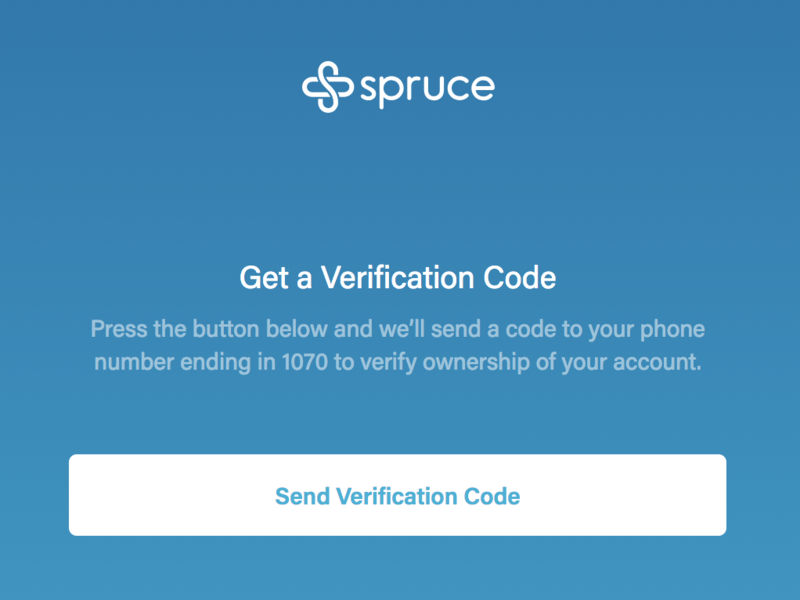 For security reasons, we will verify it's really you by sending a verification code to the mobile phone number associated with your Spruce account. Click 'Send Verification Code' to receive it. Check your text messages for a 6-digit verification code from Spruce. If you do not receive a verification code after 5 minutes, click here for help. Enter the 6-digit code and click 'Verify Account'. Finally, enter a new password and click 'Change Password'. You are done! The website will give you a link to go to the Spruce home page.